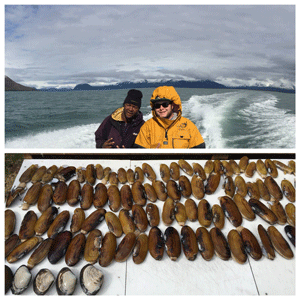 Looking to get your hands dirty and dig up Alaskan Razor Clams this Summer? Then you’ve come to the right place! 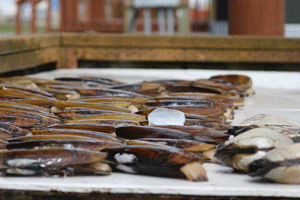 Our team at Ninilchik Charters has been chartering Razor Clam digs for over 20 years. If you’re not familiar with these hidden treasures, our Alaskan Razor clams have a golden- brown, oval shell and range in size from 3 to 10 inches long! 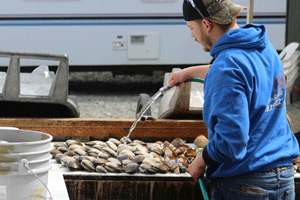 Jump on board today and get ready to dig for some of the best eating clams known! 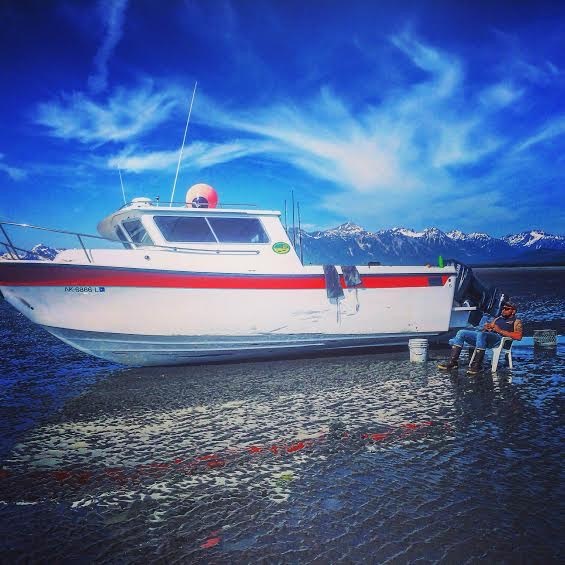 Why choose Ninilchik Charters for your Alaskan Razor Clam Digging excursion? These fun events take place during certain periods of the month, where we take pride in making sure every family has the opportunity to dig up these hidden treasures, without the burden of crowds. With that being said, our local Captains know all the best spots in Ninilchik! They will take you to a beach with no crowds and no limits! If you’re not sold already, then check out some photos below and dive into the photo fun of some of our guests! Alaskan Razor Clams are known for their size, delicious flavor and NO LIMITS! 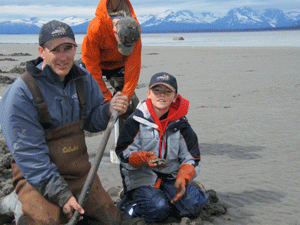 What makes our Alaska Razor Clam digging excursions even better, is that they are fun for the whole family to do, making it the perfect family outing in Alaska! Both adults and kids enjoy their time on the beach and the excitement picks up as you continue to bagging your Alaska Razor Clams! 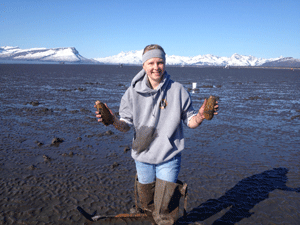 Because Alaskan Razor Clams live in the tide pools and on the beaches, Alaskan Razor Clam Digging is done during our periodic low tides, which ONLY occur about once a month and last for about 3 to 5 days. Not only will you experience digging for these delicious Razor Clams along some of South-central Alaska’s most beautiful beaches, but when finished you get to enjoy the wonderful and unique taste of fresh Alaskan Clams- which are sought after year round. 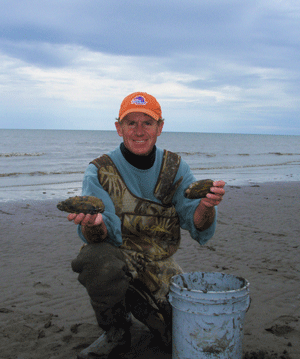 We look forward to clamming with you this Summer!